James Murdoch, the younger son of Rupert, will relinquish his position as executive chairman of News International, following a phone-hacking scandal that shut down the News Of The World newspaper and led to the arrest of several company executives and journalists. The performance of romance publisher Harlequin has been the source of Torstar's Q4 profit. The corporation's results are merged so we have no figure for the Toronto Star. Torstar says that it's doubtful Harlequin can match its 2011 performance in 2012. Can the paywall be made to pay? Warren Buffett is the latest notable to say that if only newspapers made people pay for the news, the industry would be okay. Possibly. But the psychological hurdle for publishers of who will be first seems a high one. Close down online and lose readers to your competitors who are still online And what to do about the great national and international broadcasters who are uniquely qualified to be on the Internet. "Join our post show program online" News is the one place where television hasn't been hurt by the Internet. And finally there's the hordes of freelance tinkerers and blog maniacs who are sniffing around the morning paper's lunch in local news. Getting people to pay for news seems like a long shot. If there was any doubt about 24/7 news leadership, CP24 cleared the air in a big way today. It might be said that CTV's all-news service just simply owned the VIA Rail train derailment story that broke mid-afternoon Sunday. CtiyNews CHANNEL was left far behind. For a while, the Rogers franchise was so out of the game that it simply ignored the train wreck story. It's a lesson in technology, staff and generalship that must have CityNews bosses regretting how their money is spent -- or not spent. Of course it helped CP24 to have CTVNews standing behind it. As CP24 rolled out live on-the-scene coverage, CityNews was showing a map. Later, about 6.45 when the whole world, it seemed, was interviewing VIA Chief Operating Officer John Margison, CityNews was nowhere to be seen. Long-time CBC News staffer Craig Armstrong died last Thursday in Picton, Ontario. He was 86. Heartfelt concern from Christie Blatchford over sparse coverage of the trial of a young man murdered because he talked to the police. Gannett, the largest US newspaper chain, has announced plans to begin charging for online access to its 80 US dailies by the end of the year with the exception of flagship USA Today. The McLean, Virginia-based Gannett said it expects the move to bring in an additional $100 million a year beginning in 2013 and it expects overall annual revenue growth of between two percent and four percent by 2015. The brothers Ford are going to have two hours to tell Toronto “like it is” without the “media twisting” their message, The Toronto Star reports. “I think it's going to be very informative. It's going to be controversial at times. But you're going to get the straight goods... from Rob and I. You aren't going to have the media twisting it around like they've been twisting it around for the last year and a half,” said Etobicoke Councillor Doug Ford. Thursday morning Doug and Mayor Rob Ford appeared on the Jerry Agar show to announce they'll be taking over Newstalk 1010's The City program. The Sunday afternoon show was previously hosted by centrist councillor Josh Matlow, who frequently had a mix of political and media personalities as guests to discuss the issues of the day. Both the mayor and councillor Ford suggested they won't be giving much air time to opposition members. Ford also took a few minutes to discuss transit and continue his campaign for subways. When a caller asked about Toronto bidding for an Olympics someday, the mayor answered the city would need an expanded subway network if it ever hoped to win. Agar took a moment to thank Matlow for his time on the show saying “this is not the case of Newstalk 1010 deciding to unload Josh Matlow. That Josh Matlow did something wrong.” It was just time for a change. The City airs Sundays from 1 to 3 pm. A French reporter wounded in the Syrian government’s bombardment of Homs made a video appeal on Thursday for a cease-fire and evacuation for urgent medical attention. Ms. Bouvier, 31, on assignment for the French newspaper Le Figaro, was wounded Wednesday in the same shelling attack that killed two Western journalists, Marie Colvin of The Sunday Times and Rémi Ochlik, a French photographer. Late Wednesday, Syrian activists posted video of a rally in Homs in honor of the two. The journalists had taken great risks to enter the besieged city and report on the government crackdown there that has left thousands of civilians dead. The government’s assault on the makeshift media center where the journalists were working brought a new intensity to international condemnations of President Bashar al-Assad and his forces. Activists who created the media center said that satellite transmitters on the roof had probably been spotted by Syrian reconnaissance aircraft before the strike. President Nicolas Sarkozy of France called the journalists’ killings “murder” and repeated demands that the Syrian government stop attacking peaceful demonstrators and allow humanitarian aid from abroad. He said that “this regime should leave” power. British actor Rowan Atkinson says the BBC should have been allowed to axe Miriam O’Reilly (pictured) from the program Countryfile without facing claims of age discrimination. The Blackadder and Mr Bean star criticised the presenter’s landmark ageism tribunal victory last year, saying it was an ‘attack on creative free expression’. The 57-year-old said ‘creative industries’ were ‘completely inappropriate environments’ for anti-discrimination legislation – and the ‘legal tools’ she used to win her case ‘should never have been available to her’. He said her complaint that she was axed from Countryfile due to her age – she was then 51 – was ‘no more sensible’ than Pierce Brosnan complaining he was dropped as James Bond for being too old, ‘which he was and which he is’. In a letter to Radio 4’s The Media Show, Atkinson said if program-makers wanted to replace an ‘old person with a young person’ or ‘a white person with a black person’ or a ‘disabled straight with an able-bodied gay’ they should have the ‘creative freedom to do so’. "As hundreds of homemade videos pouring out of Homs have made clear, the bombardment of the apartment building was just one episode in the Syrian Army’s daily and sustained assault on the city. Heavy weaponry has been used to devastating effect against civilian neighborhoods that have virtually no defense, beyond a few army defectors and lightly armed activists. "One video distributed Wednesday shows a group of men laid out on blankets, their grisly wounds as visible as the anguish on the faces of onlookers. Another captures doctors lamenting their lack of supplies as they treat the wounded. Buildings are so pockmarked that they seem to be on the verge of collapse. The scenes are accompanied by eerie audio with cries of despair, explosions and activists’ commentary about the scenes before them. “'This is the first YouTube war,' said Rami Jarrah, co-director of the Activists News Association, a Cairo-based group that collects information from inside Syria and distributes it." Rogers Communications said fourth-quarter earnings rose 8.3 percent, helped by increasing wireless revenue as customers spent more time on their smartphones. Net income climbed to $327 million or 61 cents a share, from $302 million, or 50 cents, a year earlier, the company said today in a statement. Rogers also said it will buy back as much as C$1 billion of stock and raised its annual dividend by 11 percent to C$1.58 a share. Chief Executive Officer Nadir Mohamed is trying to stay ahead of BCE Inc. (BCE) and Telus Corp. (T) by touting Rogers’s network speed while also promoting its no-frills Chatr business. BCE and Telus posted quarterly earnings that trailed estimates as they spent more subsidizing expensive smartphones to avoid losing subscribers to Canada's new carriers that offer mainly cheaper, contract-free plans. France identified two Western reporters killed in Syria on Wednesday as veteran American war correspondent Marie Colvin of Britain's Sunday Times and freelance French photojournalist Remi Ochlik. France's Culture Minister Frederic Mitterrand said the pair had been fleeing a bombardment in the besieged rebel city of Homs when they were killed. "It's absolutely overwhelming, terrible," he said. Colvin was a renowned reporter who had covered countless conflicts over 30 years and wore a distinctive eye patch after she was wounded in Sri Lanka. She was voted Foreign Correspondent of the Year in the 2010 British Press Awards. Ochlik was a 28-year-old photographer represented by the IP3 agency, which he co-founded in Paris, who quit his studies aged 20 to report on Haiti and has since covered many of the recent upheavals in the Arab world. Pierre Juneau, former president of the CBC and the first chairman of the CRTC has died at age 89. Juneau was a long-time friend of Pierre Trudeau and had the Juno awards named after him. Ron Petrie, columnist for the Regina Leader-Post who worked at the newspaper for over 30 years, has died at age 52 of cancer, the Canadian Press reports..
A venerable piece of Vancouver's skyline is being sold by the city to pay down Olympic Village debt. 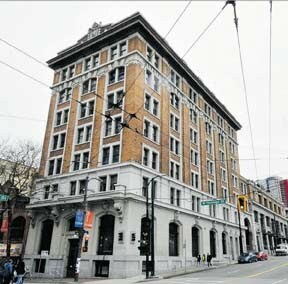 The Province building, where the newspaper was produced from 1923 until 1960, is for sale. Patrick Murphy, Vancouver's property development officer, said on Monday that the city acquired the building from Millennium Properties as a consequence of bailing out Millennium's troubled village project in 2010. "The city is liquefying its assets to pay back the Olympic Village," Murphy said. As of October, the debt was $446 million, which will be reduced by future sales of remaining units. Some $170 million is still owed on the city-owned land. Vision Vancouver Coun. Raymond Louie, chairman of the finance committee, hopes the building's sale will generate more than $10 million. The funds will be applied against village debt. 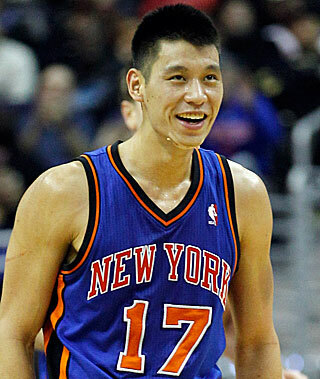 The New York Daily News reports that the ESPN editor fired Sunday for using "chink in the armor" in a headline about Knicks phenom Jeremy Lin said the racial slur never crossed his mind - and he was devastated when he realized his mistake. "This had nothing to do with me being cute or punny," Anthony Federico told the Daily News. The headline - "Chink in the Armor: Jeremy Lin's 9 Turnovers Cost Knicks in Streak-stopping Loss to Hornets" - appeared on ESPN's mobile website at 2:30 a.m. on Saturday and was removed by 3:05 a.m. The successor to Rupert Murdoch’s scandal-tarnished News of the World newspaper will start publication in a week’s time, a senior News Corp. executive said Sunday. Mockridge said he was sure that “every one of us will seize the opportunity to pull together and deliver a great new dawn” for the newspaper. The Sun on Sunday will replace the top-selling News of The World, which was closed in July after revelations that members of its staff had routinely hacked into phones and paid bribes to score exclusives. The ensuing scandal stunned Britain’s establishment, led to dozens of arrests and resignations, and has spawned a wide-ranging official inquiry into U.K. media ethics. ESPN apologized for the use of a Chinese slur early Saturday in reference to Jeremy Lin after the New York Knicks’ loss to the New Orleans Hornets the night before. The network ran the headline “Chink in the Armor” after Lin had nine turnovers in New York’s loss to New Orleans on Friday night. The headline appeared on espn.com’s mobile website from 2:30 to 3:05 a.m., and could be seen on phones and tablet computers before being removed. "The Colbert Report" has been temporarily suspended due to the host's mother, Lorna Colbert, 91, falling ill, sources close to the show say. Since the news broke yesterday that new episodes of "The Colbert Report" had been abruptly put on hold due to "unforeseen circumstances," speculation as to the reason has ranged far and wide. Many fans suspected a family illness, while others speculated that the host had been fired or that he was engaging in some kind of bizarre PR stunt. New York Times correspondent Anthony Shadid, a two-time Pulitzer Prize winner whose dispatches captured untold stories from Baghdad under "shock and awe" bombing to Libya wracked by civil war, has died of an apparent asthma attack in Syria while reporting on the uprising against its president. Shadid, who survived a gunshot wound in the West Bank in 2002 and was captured for six days in Libya last year, was returning with smugglers from Syria to Turkey when he collapsed Thursday, the Times said. News Corp. chief executive Rupert Murdoch on Friday warned staff at his scandal-hit British tabloid The Sun that he won't protect reporters found to have broken the law, but pledged unstinting support to the title he claimed is among his proudest achievements. 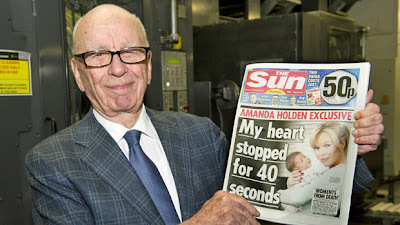 The media mogul, who flew on Thursday to Britain from the United States to tour The Sun's London newsroom amid a simmering staff revolt, pledged to restore the newspaper's status and confirmed plans to soon launch a new Sunday edition to replace the shuttered News of the World. In an emailed message to staff, Murdoch confirmed he will remain in London "for the next several weeks to give you my unwavering support" amid the crisis caused by Britain's phone hacking scandal and police investigations into alleged email hacking and purported bribery of public officials. Murdoch's visit follows last week's arrest of five senior staff at The Sun in raids at their homes in an inquiry into the alleged payment of bribes to police and defence officials for information. A total of 10 current and former staff at The Sun — Britain's biggest selling newspaper — have been questioned over the allegations. None has so far been charged. Reuters reports from New York that Comedy Central has suspended production of the Colbert Report for at least two days, an unexplained development that ignited widespread speculation about the popular satirical news show on Twitter and other social networks. Comedy Central said the show aired a repeat episode on Wednesday and would again on Thursday due to "unforeseen circumstances," but did not elaborate. The show was likely return soon, possibly as early as next week, according to a source close to the show who was unauthorized to speak publicly. A spokesman for the cable network, owned by Viacom Inc., declined to comment on the reason the tapings were canceled. The break comes during a crucial stretch for Stephen Colbert's show, with the Republican primary season in full swing. Last month, Colbert took his political humor to South Carolina before its primary, staging a mock campaign rally and urging fans to vote for former Republican presidential hopeful Herman Cain. The comedian also has a super PAC - "Americans for a Better Tomorrow, Tomorrow" - that had raised more than $1 million by late January. Jim Curran, the long-time traffic reporter for CBc radio says he will retuire at the end of June. Curran has shouldered the traffic watch at CBC for nearly four decades, Curran is a legendary figure in traffic reporting on Toronto;s Metro Morning. He’s been in the same job since 1972. Curran’s fans and well-wishers took to Twitter to express their congratulations. Investigative reports claiming corruption among Slovak politicians and officials by a Canadian journalist have triggered street demonstrations in the Central European country. The journalist, Tom Nicholson, 45, has lived in Slovakia since 1997 and is married to a Slovak woman. He served as editor and publisher of the English language weekly, The Slovak Spectator, and headed investigative journalism at the Slovak weekly, SME. According to his web page, his Canadian experience includes news editor at the Kingston Whig-Standard and free-lancing for the Ottawa Citizen, The Globe and Mail and the National Post. He was born in Suffolk, England, and holds Canadian and British citizenship, according to his web page. His web page says he has an M.A. in history from Queen’s University, a B.Ed from Brock University and B.A. in history and philosophy from the University of Toronto..
His reports were said to have been based on files of the Slovak Secret Service (SIS) and involve kickbacks to leading politicians of all parties from the financial group Penta, based in the Czech Republic. Nicholson has written a book about the scandal -- that was code named “Gorilla” by the secret service -- but a court in Bratislava, the Slovak capital, has issued an injunction against its publication at the request of a partner in the Penta company. The alleged scandal has gripped the Slovak public and the media in advance of elections to be held next month. Hundreds of people have turned out on the streets of Bratislava in the past few weeks to protest against corruption. Dear God, what can we say. This news will not come as a surprise to anyone. There are few special interests in Canadian politics that are more special than the ethnic media. No government can resist the chance to try to forge a bond of blood -- even artificial blood -- with Canada's more recent immigrants.. Give money to the arts and you get a nice feeling.in return. Somehow it doesn't translate into votes the same way as ethnic stroking. Now, is there anybody we haven't offended? Reuters reports tonight that five top editors and reporters from the News Corp.-owned Sun newspaper have been arrested in London apparently in connection with the corruption of police officers. The events have played out in the wake of the message hacking scandal at News of the World. It is said that police were bribed for news tips. News International chief executive Tom Mockridge announced the news in a memo to his staff. "I am very saddened that a further five colleagues from The Sun have been arrested this morning by the Police," he wrote. Mockridge said that deputy editor Geoff Webster, picture editor John Edwards, chief reporter John Kay, chief foreign correspondent Nick Parker and deputy news editor John Sturgis had all been arrested in an investigation into payoffs to police and public officials. The Toronto Star has an interesting presentation today which combines an expose story and a new technique in promoting street sales of the paper edition. The story involves a woman named Alanna Steinberg. She is being assailted by "clients" over loans they say they were supposed to receive. Interesting stuff but here's the clever device used to promote this story. According to the index of stories online, the Alanna yarn won't be posted at the thestar.com until noon. The paper has made available an embed video of a confrontation with Alanna as a teaser. It ends with a promo: See what the Star has. The full story on Alanna Steinberg in Saturday's paper. See the promo video here. Arianna Huffington's quaint notion of the marketplace was unrolled at a public reception yesterday in Montreal. . No word in the linked Gazette story if there was any snickering. What Arianna says is that prominent bloggers should write for her website for free because she does not charge them for the opportunity to write for her. Free for free. Of course, Le Post Huffy is intended, and required, to make money. But there is apparently no connection in Arianna's mind between that and the value of the blog postings. Maybe she thinks the bloggers should pay her. Ottawa Citizen story on these layoffs occurring yesterday. The DVD rental isn’t dead yet. Redbox is bringing its popular vending-machine DVD business to Canada’s billion-dollar movie-rental market, aiming to fill a void created by the failure of Blockbuster Corp. and other traditional video stores. 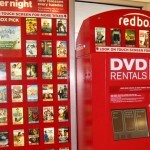 Along with Netflix Inc. Redbox Automated Retail LLC is credited with revolutionizing the movie rental business in the United States and helping to persuade some cable and satellite television subscribers to cut their cords and rely entirely on the easily accessible, lower-cost offerings. The company,has quietly laid the groundwork for a Canadian launch and will set up a few hundred kiosks in the coming months to decide whether to jump fully into the market. It has 29,000 kiosks through the United States that offer movie and game rentals for less than $2 a day. In an over-the-top self-congratulatory message online, the HuffPost launched its French-language version in Quebec Wednesday. There is no mention of the several high profile Francophone journalists who declined to work for no pay. They are high-profile – intellectuals, leftist activists and politicians – who had agreed to blog, but pulled out when they found out they’d be writing for free. Amir Khadir, Steven Guilbeault, Normand Baillargeon, Françoise David, Évelyne de la Chenelière, Jean Barbe, Philippe Couillard, Bernard Drainville and Pierre Curzi won’t blog for the new online news site. Two others – Vision Montréal leader Louise Harel and feminist activist Djemila Benhabib, author of Ma vie à contre-Coran – also appear to be absent. “There’s nothing we can do about it,” Patrick White, HuffPost Quebec’s managing editor said of the defections, adding that some bloggers pulled out for “personal reasons” like lack of time. The European human rights court on Tuesday rejected an invasion-of-privacy complaint by Princess Caroline of Monaco, one of two potentially groundbreaking rulings that uphold the media’s right to report on celebrities. In both verdicts the European Court of Human Rights, based in Strasbourg, referred to the often-tricky balance between the media’s right to expression and an individual’s right to privacy. Princess Caroline and her husband, Prince Ernst August von Hanover, had filed a complaint with the court alleging that their privacy rights had been violated in Germany in 2002 after the publication by Frau im Spiegel magazine of a photo of the couple during a skiing holiday — a time when her father, Prince Rainier, was ailing. The second ruling issued Tuesday involved a Hamburg court’s injunction in 2005 to stop Axel Springer, the publishing house behind the German daily Bild, from publishing articles about a well-known television star who was arrested on charges of cocaine possession. A federal court in Germany later upheld the injunction. The E.C.H.R. said Tuesday that the German courts violated the right of expression, and affirmed the “public interest” of some Bild articles in 2004 and 2005 about a nationally known star who long portrayed a police superintendent on TV. 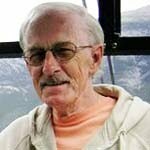 Harold Nelson, a behind-the scenes figure at The Natinal during the n1960s and 1970s, has died at age 82. Harold was known for his encyclopedic memory of film footage and could retrieve needed shots from archives in a hurry. It was an invaluable skill in the days before computers. He retired from CBC several years ago. The Morley Bedford funeral home says that the Church service will take place at St. Paul’s Anglican Church, 227 Bloor Street East on Tuesday, 7 February 2012 at 2:00 p.m. A private interment will be held from Port Crewe late in the week. Rogers Communications Inc.and BCE Inc. are in talks with Apple Inc. to become Canadian launch partners for its much-hyped Apple iTV, a product that has the potential to revolutionize TV viewing by turning conventional televisions into gigantic iPads, the Globe and Mail repoirts.. While the iTV product remains cloaked in secrecy, sources say Cupertino, Calif.-based Apple has approached Rogers and Bell as it actively pursues partnerships with Canadian carriers. In the latest case of a government tightening the reins on the online flow of ideas and information, Google India has agreed to take down Web pages considered offensive by Indian political and religious leaders, stoking censorship fears in the world's largest democracy. The removal order announced Monday resulted from a court case and follows weeks of aggressive government pressure on 22 Internet giants to remove photographs, videos or text considered "anti-religious" or "anti-social." Warning that their sites might be blocked "like in China,'' a New Delhi judge gave Facebook, Google and the other sites two weeks to present further plans for policing their networks, according to Indian press reports. Google now faced a court order and had no choice but to follow it. Google would not release details about what content it had taken down or explain how it planned to respond to the government's demand for a self-policing action plan. A state-run Yemeni newspaper’s office is being occupied by armed men who kicked out the paper’s editors and journalists in order to reinstate the outgoing president’s picture on the front page, the AP reports. Al-Thawra newspaper board member Mohamed Shabita says President Ali Abdullah Saleh’s loyalists took over the newspaper’s offices in the capital of Sanaa and brought in their own journalists. They published his picture on Sunday. Hundreds of armed men loyal to Saleh also surrounded another state-run newspaper’s offices in the southern city Taiz last week, demanding the president’s picture be restored. The editors of the el-Gomhoreya paper gave in. "The new era that appeared to be on the brink in July of 2000 has been delayed – and then some. Broadcast proceedings remain few and far between in this province. But that could soon change, courtesy of what opposition politicians call Premier Christy Clark’s Riot TV. The Crown will next week make the first of its applications to a judge hearing a riot case for the proceedings to be broadcast publicly, following through on a pledge in the government’s Throne Speech. "The decision could propel the B.C. courts into that new era. "The Attorney-General has said the application is part of the government’s plan to make the courts more accessible to the public, but hasn’t said whether it would do the same with future crimes. Media that have long argued for cameras are wondering if the Crown will take over that role. "Ms. Clark has been lambasted from all sides over the broadcast order – the Criminal Justice Branch dissented until prosecutors were bluntly told to forge ahead. Defence lawyers and political rivals have derided the order as a populist stunt.. . ."
Ron Carlyle, who produced a variety of programs at CTV, CBC and Dome Productions, died on Tuesday at age 78. One of his last gigs at CTV was on the lifestyle and consumer program Live It Up, where he produced segments and was the program's on-air "watchdog" who never showed his face but did tests such as how many lights do you get with a bic lighter as opposed to a cricket lighter. Funerals services will be held on Tuesday, February 7, at 11 a.m., at the R.S. Kane funeral chapel, 6250 Yonge Street, south of Finch. Visitations are Monday 2 to 4 p.m. and 6 to 8 p.m.
Two senior Citizenship and Immigration Canada officials — including the registrar of Canadian citizenship — thanked and congratulated a mid-level bureaucrat for organizing a fake citizenship ceremony broadcast on Sun News Network, internal department emails show. “Thanks for the feed back (sic) and the quick fix to bring CIC staff,” writes Raylene Baker, registrar of Canadian citizenship, to Tracie LeBlanc, acting senior communications adviser for the department’s Ontario office, in an email obtained under Access to Information laws by The Canadian Press. LeBlanc is the bureaucrat who, according to the emails, recruited six of her colleagues to participate in a citizenship reaffirmation ceremony at Sun News Network’s Toronto studio last October that purported to show 10 “new” Canadians “finally” attaining their citizenship. “Tracie saved the day on this one! Merci mille fois Tracie!” Ian Darragh, director of communications for Citizenship and Immigration Canada’s Ontario branch, writes in another email to a colleague. CP outed SUN TV's fake citizenship ceremony. Sun TV's competitors just love it. "When Stephen Harper’s government wants a happy clap-clap Canadian moment on Sun News, it goes the Full North Korean. Yes, six of the “new Canadians” attending a “reaffirmation” ceremony for Citizenship Week in the Sun studios last fall turn out not to have been recently minted citizens after all. As The Canadian Press’ Jennifer Ditchburn has reported, they were actually federal bureaucrats told to smile and wave the damn flag like they meant it. The thing looked like a school play with grown-ups. Sad frightened grown-ups. According to CP, Immigration Minister Jason Kenney’s office had asked Sun News to do a soft news segment, at the network’s studio, on new citizens taking the oath. It does sound as though the Tories and Sun News are joined at the hip. I have never worked anywhere in journalism where the government phoned and asked you to do anything. Oh yeah, when an 8-year-old designs a Christmas stamp, we’ll be there. But journalists and government never get together and fake stuff. That would be a firing offence, presumably on both sides. How times have changed. . .."
Publishers of the four Toronto dailies agree that the newspapers have a future. “I feel very optimistic about the long term for our news organizations … the best of times are ahead for the best of brands,” said Toronto Star publisher John Cruickshank, during a panel discussion at the Four Seasons hotel on Thursday. Read it in the Star by clicking headline.